This is another of those verses in which meaning requires knowing the principles of hokku. We might think it is just about the morning sun seeming to be up early (“already”), or the writer’s having risen from bed a bit late, but that is not the case. The important factor here is the stated season, autumn. 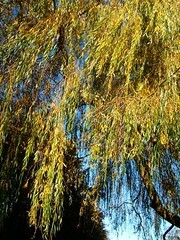 That tells someone educated in hokku that there is a significant relationship between the sunlight and the willow trees. Put simply, the writer sees how quickly autumn is progressing. The leaves of the willows have been falling for days, opening gaps between the branches through which — he suddenly notices — the morning sun shines. That is the point of the verse — transience, impermanence, how everything in Nature (including us) is constantly changing. Just a short time ago the willows were a mass of yellow leaves, but already so many have fallen that the morning sunlight penetrates the trees. I often say here that Japanese hokku sometimes tends to a vagueness not found in English-language hokku. Some verses can be so unclear as to leave their meaning perpetually in doubt. Those are just bad hokku, in spite of the excuses made for them. The point is that everything is interrelated. The smoke rising from the chimney of your neighbor’s cabin on the opposite hill becomes an integral part of your autumn evening when you see it or smell it. The same with the smoke from your own stove or fireplace or pile of smouldering leaves — it becomes other people’s autumn. Sōkyū was more straightforward, seeing no pardon as necessary for the smoke that was his neighbor’s autumn evening as well as his own. There is a harmony in autumn between the season and smoke, because autumn is the season of gradual destruction — the falling of the leaves, the withering of the grasses. When we read or write hokku in English, we should be careful to avoid romanticism and exoticism, both of which lead us into illusions and fancy and away from the aesthetics appropriate to hokku. That is why, when I translate old hokku, I often like to translate not just from language to language but from culture to culture. A grass hut is a poor hut, made of the cheapest of materials. 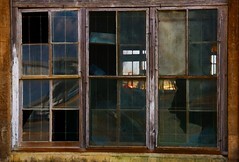 That way we see a dilapidated old house with broken places in the windows and gaps in the walls. Such a house cannot be said to keep out the wind, and that is the point. That way we know it is not simply an old abandoned shack, but a house of poverty; it is lived in, and that has significance. 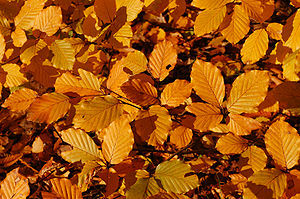 Its poorness is in keeping with the poverty that is part of the “feeling” of autumn as it deepens. The original, as you can see from the literal version, does not have the word “blows,” but it is helpful to add it in English to convey the effect intended. The point of this little posting is not only the effects achieved by variations in translation, but also the the differences of effect we get when we write original hokku in English. The principle is the same. Last time, I talked a bit about Walt Whitman’s way of overcoming the repeated disappointments of life. But for some people, the only answer is humor. That was Dorothy Parker’s approach. Dorothy Parker, you will recall, was a wit popular in the first half of the 20th century, one of the noted members of the Algonquin Round Table literary circle. Parker offers no solution to life’s disappointments, but she makes it very clear in this clever poem that disappointments are to be expected. 1. A medley is a mix of things, for example, a selected collection of different songs played one after another. 2. Extemporanea is a word you are likely to find nowhere but in this poem. It means things that one comes up with on the spur of the moment, spontaneously, without preparation. It is formed from the more common term extemporaneous. 3. 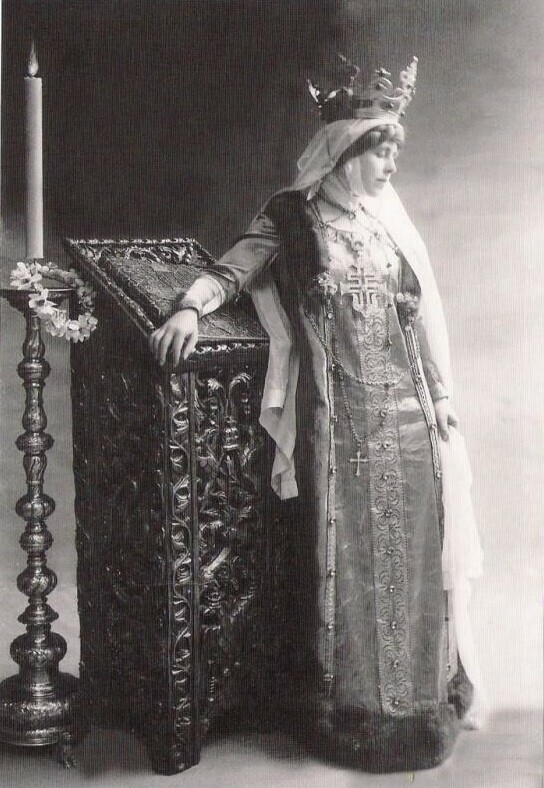 Most important of all, you need to know that in the first half of the 20th century, particularly in the first forty years, there was likely no royal figure in all the world who had the celebrity status of Queen Marie of Roumania (now spelled “Romania”). Unlike the royalty of more wealthy countries, Marie knew how to present an image of a Queen to the public that rivaled that of fairy tales (in fact Marie herself wrote fairy tales). She was not only a writer but also an artist and craftsperson who made sure that her surroundings were as photogenic and “romantic” as possible. You get a good idea of her style from the photo on this page. But aside from all that, she was a remarkable person who insisted on personally and frequently visiting wounded Romanian soldiers in hospitals at the time of the First World War, in spite of the dangers of typhoid fever. If you have never read the account of her life, you should. The Romanian people loved her very much. The point of the poem, of course, is that life, in reality, is neither a glorious cycle of song nor a medley of extemporanea; that love frequently goes wrong; that the statements in the first three lines are just as true as the statement in the last that the writer of the poem is Queen Marie of Roumania; in short, not true at all. The thing that always strikes me about this witty and light little verse is that I would be extremely unlikely to have come up with a rhyme such as “extemporanea” for “Roumania.” Of course Parker had to virtually coin the word to do it, but it makes sense and it is effective as used. Life, as we all know, has its ups and downs. Normally the ups are slight, the downs are slight, but we all go through phases, whether days, months, or even years, when things just do not seem to go right at all. That can be very wearing on the human spirit. In such circumstances we begin to notice all that is bad or amiss, not only in the people around us but in ourselves. It all begins to seem a bit overwhelming. Our faith in humanity is shaken, as is our faith in ourselves. Walt Whitman went through such times, and wrote this poem expressing concerns with self (O me!) and with existence in general (O life!) — thus its title, O Me! O Life! Whitman not only ponders but deeply feels the questions associated with one’s being and with the life of which one is a part, the great questions that keep recurring. He thinks of the masses of people around him, the “endless trains of the faithless,” meaning the long lines of people who betray our hopes and expectations of them. He thinks of the cities full of foolish people (they existed then, they exist now), and he considers how he is constantly reproaching himself for not living up to his own notions of what he should be and how he should act in the world. He sees all the other foolish, faithless, fallible human beings, and he considers himself no better, no less foolish and faithless than they. He thinks of how our eyes — both physical and spiritual — crave “vainly” (in vain) for light that will brighten our darkened lives and enable us to somehow see some meaning in it all, some redeeming significance. He thinks of the “objects mean,” which we may take not only as the craving of humans for things that do not last and do not satisfy, but also as the unworthy objects (objectives) of our striving, goals that do not seem ultimately worth our toil to achieve them. He considers the “struggle ever renewed,” of our constant efforts and labors to gain this or that thing, this or that position in the world, or merely to survive, to have food on the table and a roof over our heads. And he ponders the “poor results of all,” how things just do not seem to turn out the way we would like, how even the most valued of prizes seem to lose their glitter once they are achieved. And he thinks of the “plodding and sordid” crowds he sees all around him — the people caught in the rat-race of life, the people who have made it by standing on the backs of others, the many more who have failed in one way or another or feel they have failed, those who have not made it and have given in to numbness of spirit or dismal despair. All of this brings up the great recurring questions. What is it all about? What is my place? Do I have one? The question comes to us over and over again: in the midst of all the striving and disappointments and sordidness and meanness of life, what good is there in it all, of what use is it for the poet himself to exist, what point is there? He tells us that existence itself is the reason for being — that life exists is in itself enough, and that in this life we have identity — we are who we are. Among all these masses there is one named Walt Whitman, and he is an actor in the great play that is life, that vast, ongoing poem that is life; and each human, like Whitman, will contribute a verse to it. Every individual life, in whatever direction it goes, whether viewed as success or failure by others or by one’s self, is a verse in that poem of multitudes. 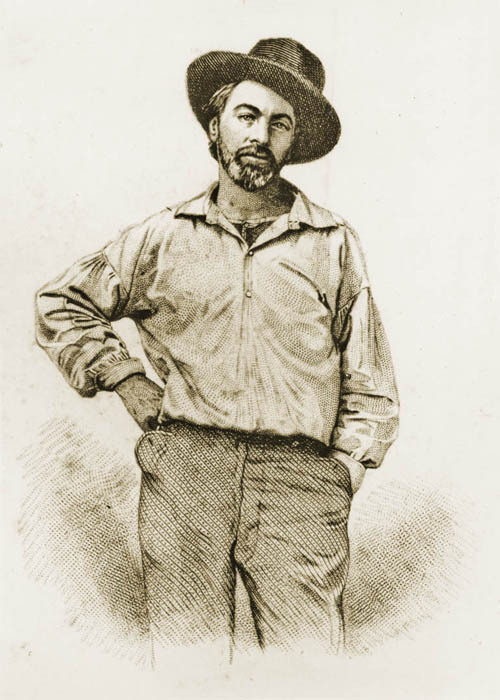 That we all play our parts and contribute our lines, Whitman tells us, is enough. For a free society, free intellectual advancement, and a creative and open marketplace of thought and ideas, freedom of speech and expression are essential. They are the foundation of a free society. Freedom of speech is the right not only to express one’s views on a subject, to discuss that subject, to disagree with the opinions of others on that subject, but also to satirize it. This applies no matter what the subject might be, including religion. Consequently, in a society that honors freedom of speech in practice and not merely in theory, no one has the right not to be offended by others speaking or writing or painting or filming their views. Any individual may say what he or she likes about another individual’s religious beliefs or views or activities or venerated figures. Any effort to limit such freedom of speech or free expression is fundamentally dangerous to the principle of free speech itself. That is why in a free society, there is no freedom from offense with freedom of thought and speech, and no real freedom of thought and speech where there is legalized freedom from offense. There are those who think that this basic principle should not apply to one or another aspect of religion — to this or that religious figure, or to a particular religious text or “scripture,” or to a particular religious activity. But they are very wrong. All people should have not only freedom of religion, but also freedom from religion if they choose. Whenever any religious decree is taken as the final word, that means a door has slammed on the human mind, chaining it into a fixed position on that matter, a position in which no further progress is possible and no further investigation is allowed. That, of course, puts a stop not only to advancement in science, but also to advancement in countless other fields. Any assumed fact must thus always be open to potential investigation, criticism, discussion and disproval. There was a time in the West when such investigation was not only forbidden but actually dangerous to one’s life. From this, Western civilization learned a very important lesson — that with freedom of speech and expression one is free to investigate any matter, whether it be of science or of religion, history or folklore. And that is as it should be. It is critical to the survival of a democratic society that this freedom of speech and expression be vigilantly watched over and protected. We are very fortunate in the West. Such freedom of speech does not exist in all parts of the world and in all segments of society in various countries, which still have outmoded and backward “blasphemy” laws, but freedom of speech in its various manifestations is one of the greatest gifts of Western Civilization to the world, and it is one which must be cherished and protected. Consequently, a sensible person will regard any statement offered as fact as only fact in a provisional sense. It may be tentatively accepted as accurate given what is presently known of the evidence, but nonetheless such a “fact,” whether in science or religion or any other field, is never immune to the possibility of being disproved by further investigation and evidence. That means it is the height of nonsense to persecute or prosecute or harrass someone simply because they disagree with one’s views on a given matter, or express their disagreement in some written or visual or audio form. And of course that means everyone should be free to choose a religion, or to leave a religion, or to have no religion. Suppose, for example, one thinks the world was created only a few thousand years ago by an all-powerful deity. Unfortunately there are large numbers of people who accept that as fact, then close their minds to any possibility of another option. Why they do so is immaterial, because they have stopped all thinking on the issue, as do all those who adhere to such a dogma. They consider the matter closed. Imagine the results if this had been adopted as the attitude of science! 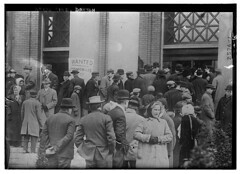 Suppose now, that there is in society a law that keeps one from offending such closed-minded people; a law that prevents suggesting that their view may are wrong — a law that forbids one from putting disagreement with such “creationists” into speech or into writing or visual format — a law that forces one to keep one’s opinions to one’s self, secret. Then that is a society in which the principle of free speech has been seriously damaged and limited — a society that is no longer truly free, a society that actively hinders the advancement of knowledge. There are two great dangers to freedom of speech, and they are two sides of the same coin: the first is the forbidding of speech that offends the views of another. That alone is serious and damaging enough. But the second is even worse: it is limiting the free speech of others through intimidation — through threats of violence. Both result in a society that is unable to think and speak freely and openly, a society that is regressive and ultimately unhealthy. Free speech in the United States is the result of an immigrant society that had experienced, in the past, religious intolerance and violence in the mother countries. That does not mean, of course, that simply coming to America made them automatically supporters of free speech. There was a great deal of intolerance in certain segments of early immigrant America, for example among the New England Puritans, who came here for freedom of religion, but who did not wish to grant the same right to anyone else. 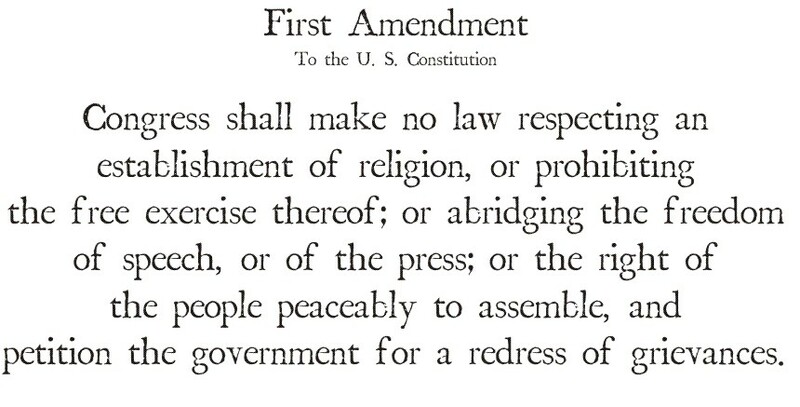 Fortunately, however, freedom of speech and freedom of religion were a part of the founding of the United States out of the original thirteen colonies. In the years since then, freedom of speech and of religion have not been uniformly protected in practice, but historically one can say that certainly great progress has been made. It is all the more important, then, that we should be aware of the inestimable value of these freedoms, and should be ever vigilant that we do not lose them through ill-considered new laws that may damage them or through fear of intimidating violence that hinders or prevents their free practice. A pleasant hokku for the early part of autumn is this by Suiō, in spite of its unconventional arrangement. It is evocative of the warm, drowsy, earlier part of autumn, when the warmth of summer is not entirely gone, and the world has begun to turn russet and gold and brown and the leaves have slowly begun to fall. The dreams reflect the transience of life, which is felt more strongly as autumn begins, and the sleep in which they come reflects the beginning of a period of hibernation and return to the root. And the regularity of the snores of the sleeper (-s) is reflected in the chirring of the grasshoppers. I have talked more about the importance of the principle of reflection in hokku in earlier postings. This verse is very good for showing how the subject matter of hokku is Nature and the place of humans within and as a part of Nature — as part of the annual cycle along with everything else. The Japanese writers of hokku often made things just a bit too vague for English-language taste, because there was such a tradition of making strong intuitive leaps from minimal information to the wider, unstated implications. But in English we do not have that strong tradition. And though we are quite capable of making intuitive leaps, we like things spelled out a bit more clearly — which in the case of this hokku is a distinct advantage. It is true in general that English is a far more precise language than the rather archaic, clipped literary language used in old hokku. As I have said before, some old hokku were so vague in the paucity of information given that to this day no one is entirely sure what the writer intended. In our contemporary hokku tradition, that is considered merely bad writing, because for a hokku to be most effective, one should be able to grasp it immediately and without confusion.